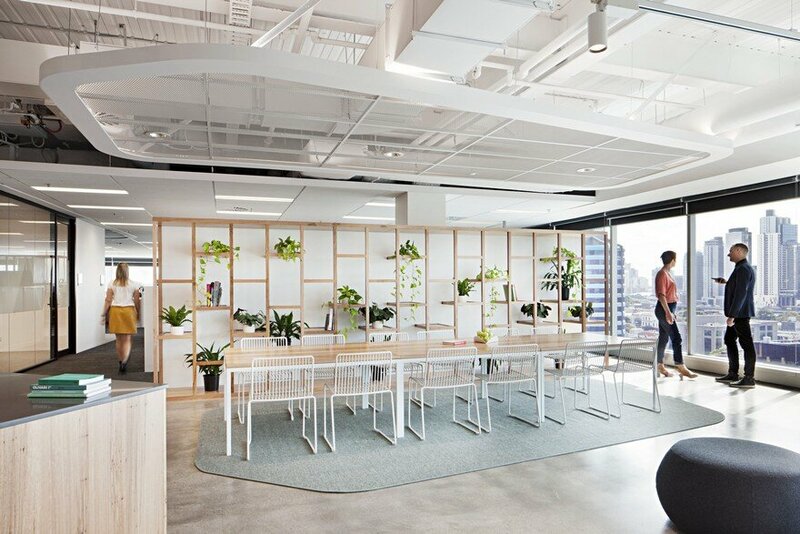 Woods Bagot has designed a new workplace for ADCO in Melbourne, delivering a contemporary workspace environment for one of Australia’s leading construction companies. 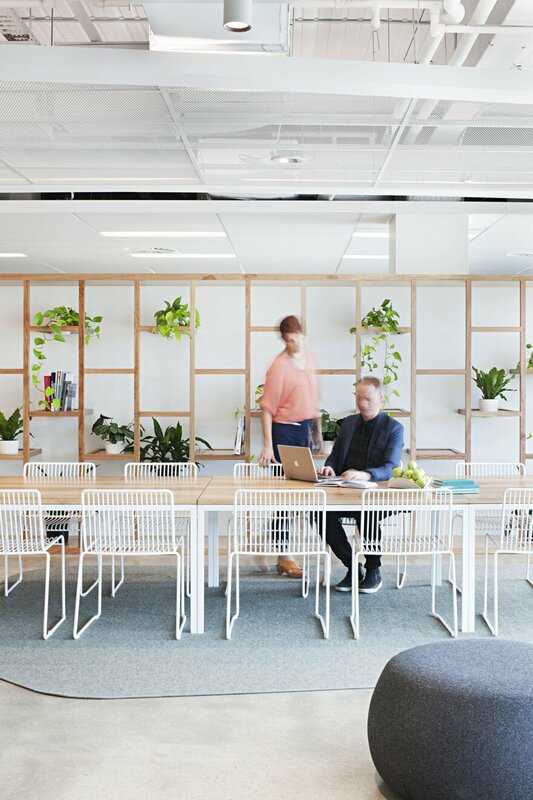 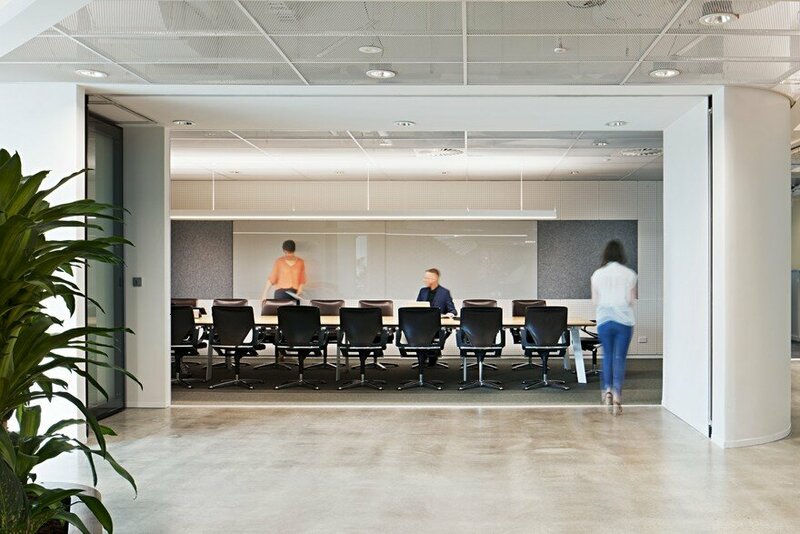 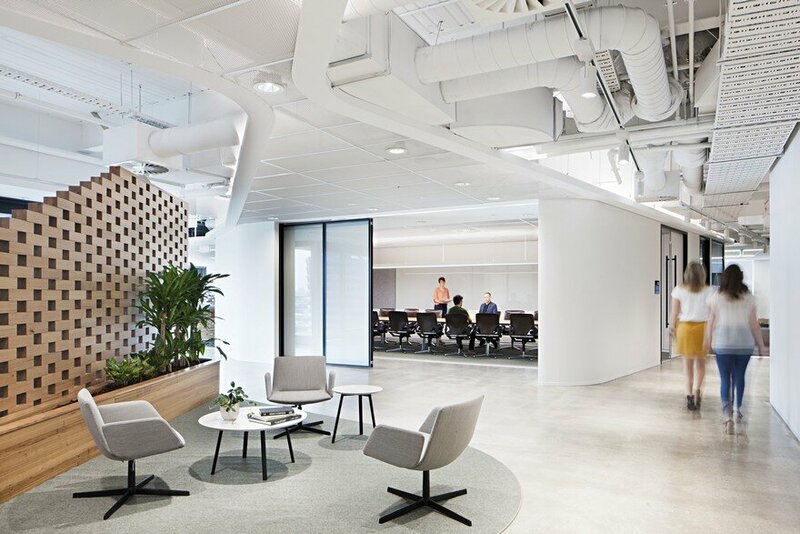 Situated in South Melbourne, the key driver for the project was to provide ADCO a point of difference, utilising the space as an opportunity to showcase exemplar buildability and craftsmanship. 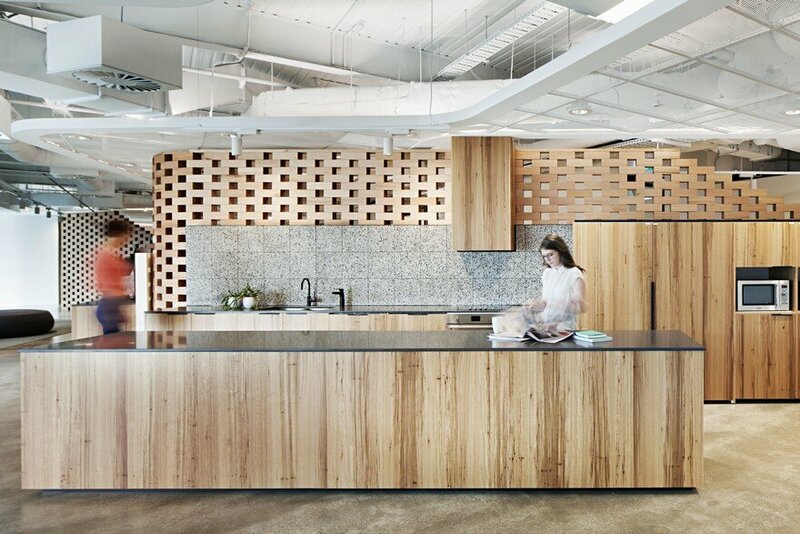 Referencing the family-run firm’s approach to construction, the design reimagines how traditional building materials can be reinterpreted through innovative methods of assembly. 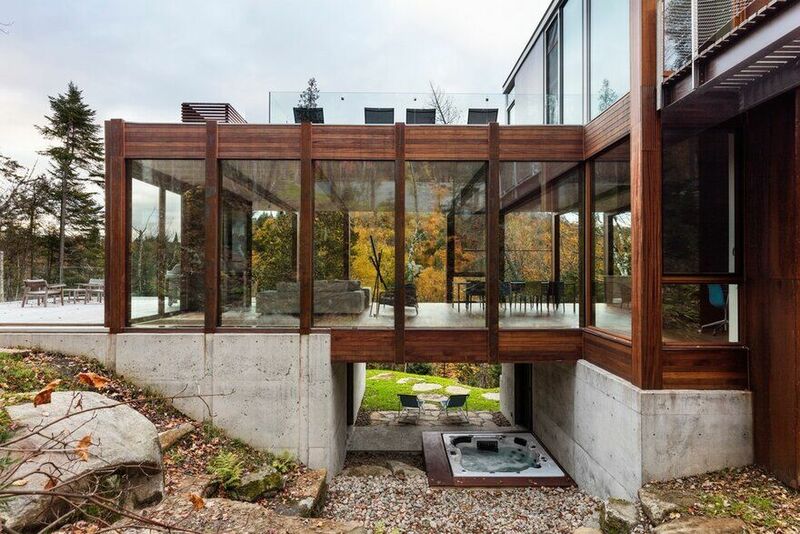 Form and massing studies led to the creation of a unique screening element. 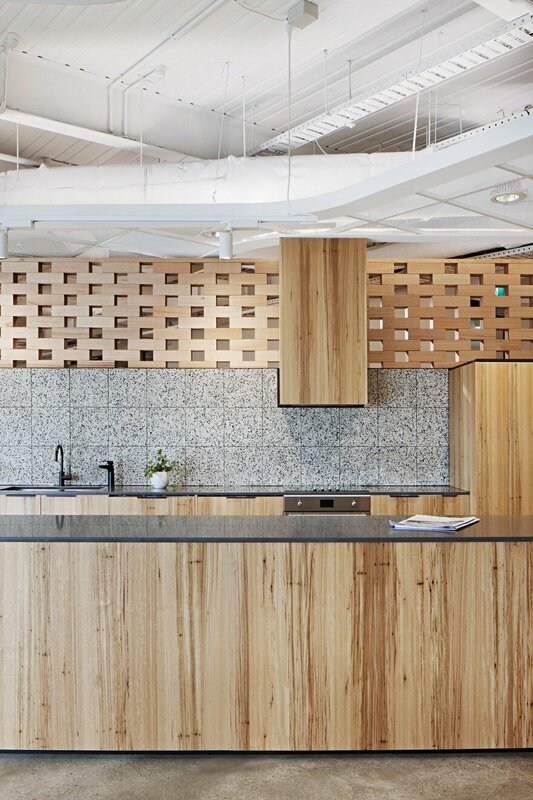 Offering a new perspective to materiality, the brick motif was crafted in timber used in repetition with an application traditionally reserved for brick. 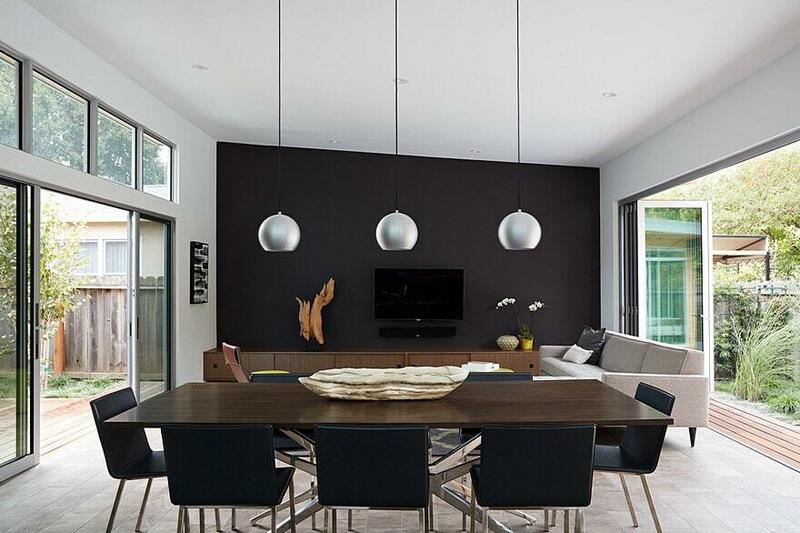 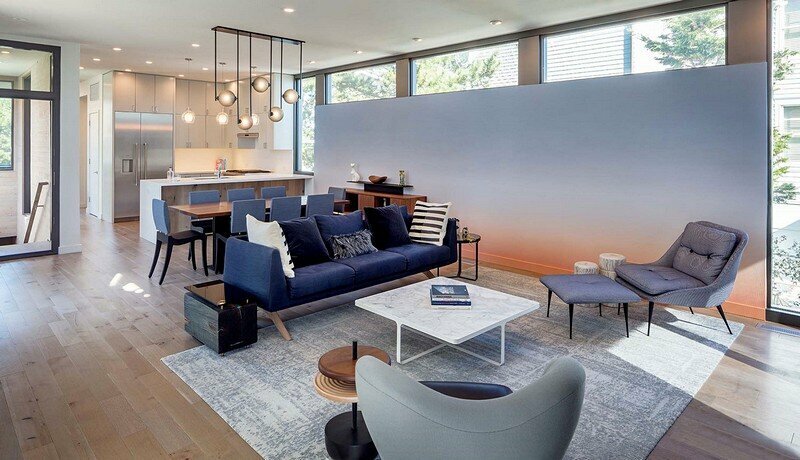 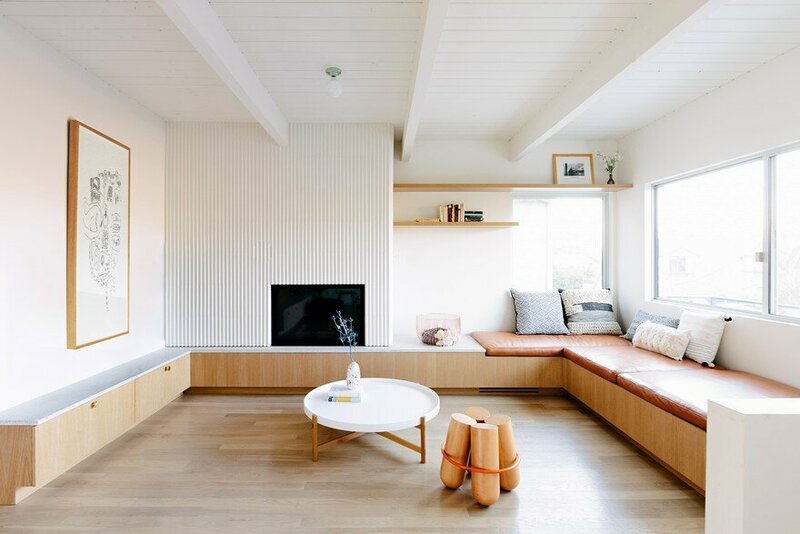 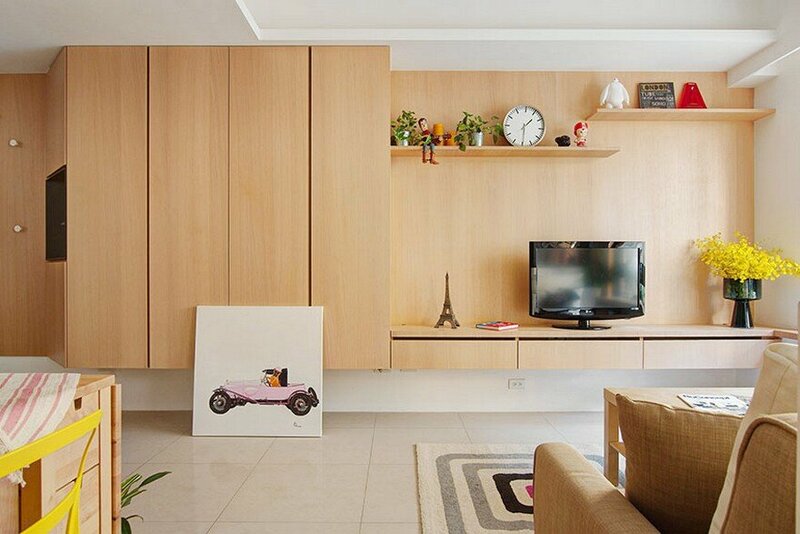 The feature wall produced demarcates the space while allowing sight lines to be maintained throughout. 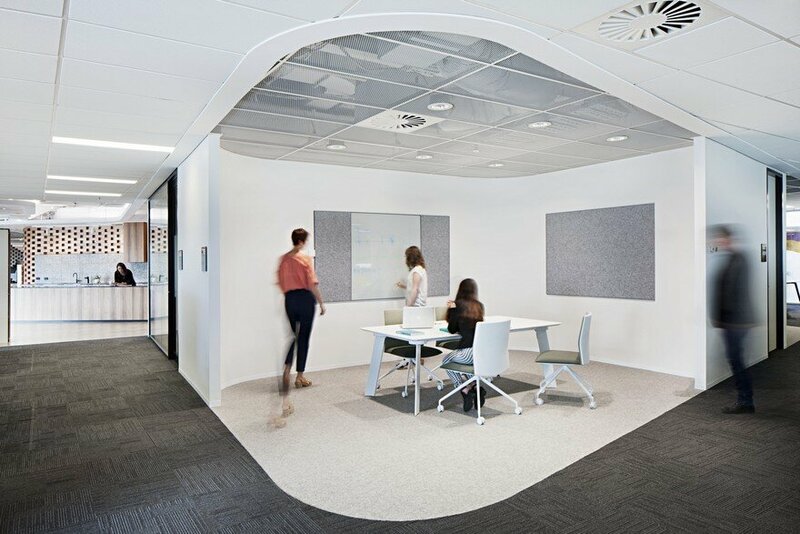 Visible from a number of points throughout the work floor, the screen functions to anchor the space, providing a cohesive narrative that reflects the approachable and cohesive culture of the business. 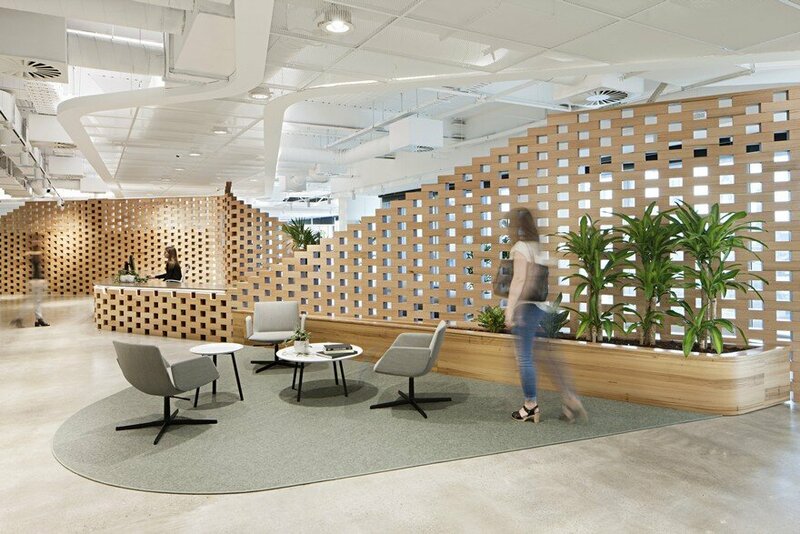 “Deliberately porous in nature, the reception blurs the line between public and private, with social and client spaces flowing into workspaces radiating from the central heart. 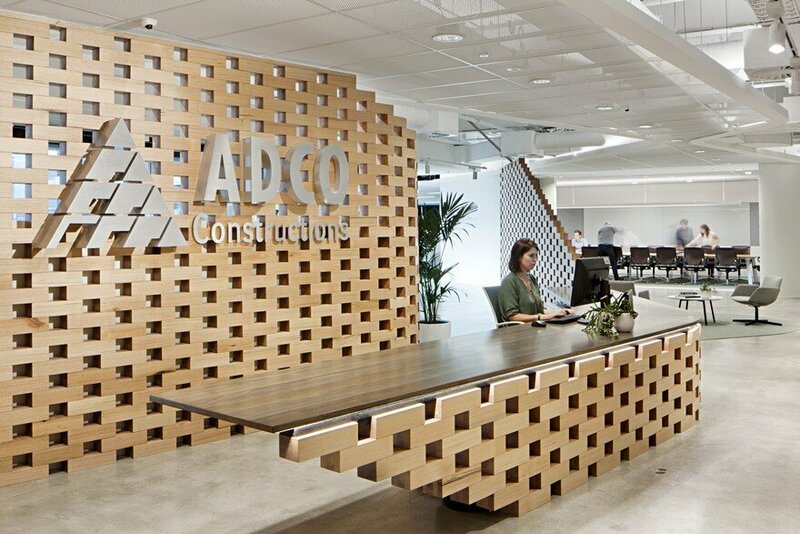 It’s the fluidity of circulation across the floorplate that brings the team together.” ADCO Constructions Senior Design Manager Glen Blamey said the design supports ADCO’s aspirations to create a workspace that embodies the organisation’s values and commitment to construction innovation.